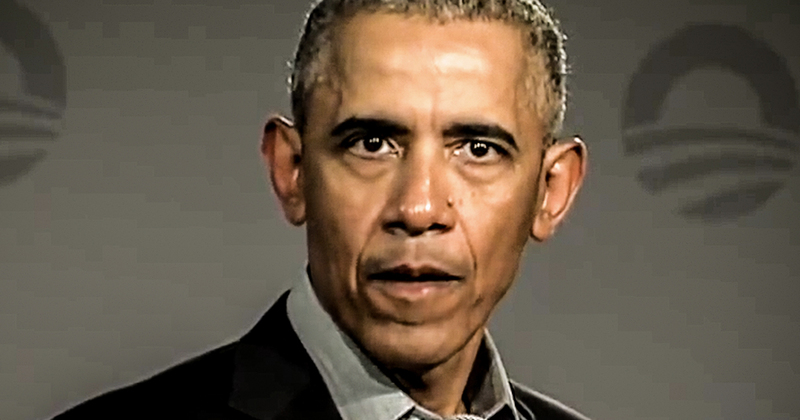 During a speech in Berlin recently, former President Obama said that he fears that progressives in the Democratic Party have become too concerned with “purity” in the last few years and that he’s afraid they’ll form a circular firing squad ahead of the 2020 elections. He has a point, but he’s also wrong, if that makes any sense. Purity tests can be a bad thing, but with the issues we’re dealing with right now, we really do need candidates who are “all in.” Ring of Fire’s Farron Cousins discusses this. This past weekend in Berlin is part of an Obama Foundation event. Barack Obama gave a speech where he talked about those darn progressive’s in their purity tests. You know, the, the people on the left who don’t want to support a candidate that doesn’t support popular things like a green new deal or medicare for all or debt free college. And instead Obama decided to kind of mildly attack those people for their so called purity tests. Here’s what he said. So one of the things I do worry about sometimes among progressives in the United States is a certain kind of rigidity where we say, I’m sorry, this is how it’s going to be. And then we start sometimes creating what’s called a circular firing squad where you start shooting at your allies because one of them is straying from purity on the issues and when that happens, typically the overall effort and movement weekends. Yeah, that really means a lot coming from the guy who wasted eight years in Washington DC trying to play nice with a party, the Republicans who actually made it, their stated goal to oppose every single thing that you ever did. And yet you still said, we’re, we’re going to play nice. We’re not going to railroad. You were going to do what you guys want to do, which means I’m not going to be able to accomplish 99% of the things I set out to do when I ran for president. So no Obama as a person, as a human being, I like you a lot. I do. I really do. As a president, you are pretty damn week and this statement proves it because you’re still out there trying to sell us the same thing except as some other folks have already pointed out. What you’re really saying is they, you don’t want progressive’s lashing out at the establishment. You see, it’s not going the other way. You don’t care if the establishment lashes out at progressive’s because technically that’s what you’re doing here with your circular firing squad that, that you guys have just started right there, right? The doc, the irony of what you just did, you just did the thing that you’re accusing the other people of doing and you did it with a straight face because I don’t even think you realized that you were doing it. We have seen reports recently including one actually this morning that came out, uh, of former members of the Obama administration who have been warning. Democrats don’t play Nice, don’t try to compromise, they won’t work with you, so don’t even bother. And yet here is Obama over there saying let’s all just try to compromise and work together and be, be nice to each other. And Yeah, I’ve got my Obama Foundation that’s pulling in a few hundred million dollars a year, so I got nothing to worry about. Well you guys like progressive’s don’t, don’t do bad things. Let’s just, yeah, sometimes you get a core in there and that’s cool too. Now this country is beyond the point of incremental change and a lot of the people, some of the people running for president on the left right now, they understand that. They understand that Republicans are going to try to come in and water down whatever it is you try to do, so you got to go big. You got to put things in your legislation that you don’t even want because then later you can get rid of those as part of a concession but still actually have everything that you did want and that’s actually what they’re trying to do. That’s what Elizabeth Warren is damn sure trying to do with some of the legislation that she’s put forward. That also happened to be policy proposals that she is running on. That’s what other candidates are doing out there. There’s, this is no time to make nice the American people, you know, I think the latest number is like one in three people on insulin or having to skip doses that basically could kill them if they don’t take it, but about one in three are having to skip a dose because they simply can’t afford it. And you want us to play Nice with Republicans on this issue to try to work out some kind of compromise while we literally have people dying because we’re trying to compromise on incremental change. Those days are done. It could have worked at the beginning of your administration had we had a, a normally functioning Republican party, but we didn’t. We haven’t for decades. Those days are over. Hope and change is great in theory, but in practice we just need to get stuff done. So don’t go out there telling us that, oh, don’t form the circular firing squads while also pointing your finger and saying, these idiots want to form a circular firing squad because you’re the one who kind of just started it.